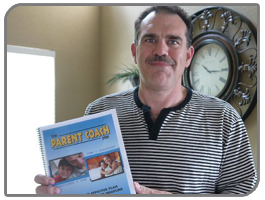 "An Instruction Manual for Your Child"
The Parent Coach Plan is like the instruction manual that the hospital never gave you! Rudeness Annoying Behaviors Anger Outbursts Irresponsibility ...and much more! 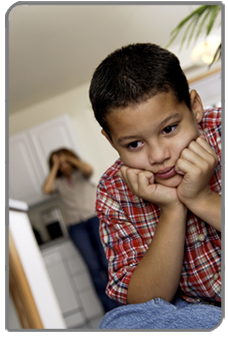 The Parent Coach Plan is an in-home child behavior program that provides parents with the information, advice, and tools that are necessary to establish firm, fair, consistent, and structured discipline for their children. The ideas and methods used in The Parent Coach Plan were borrowed from those that are used each day in nationally recognized therapeutic treatment centers that address child behavior problems. The creator of The Parent Coach Plan was once employed in a facility that treated some of the most "behaviorally challenged" children in the state. The facility had a highly structured discipline system that it utilized very successfully. The Parent Coach Plan is based off of that system. Who Uses The Parent Coach Plan? The Parent Coach Plan is not just for parents. Though it was initially designed as a parenting tool, we've had many professionals that have also benefited from its use. Child therapists, family support workers, school counselors, day care owners, social workers, and even pediatricians have used this program to benefit those that they work with. This program has even been used as a training tool for foster parents and as follow-up treatment for children coming out of residential treatment. Imagine how helpful a program like this would be if it were offered to members of a support group or as a supplement to a parenting class. To be effective, discipline must be firm, fair, consistent, and predictable. The Parent Coach Plan helps you achieve these goals by providing you with a simple and proven discipline plan. 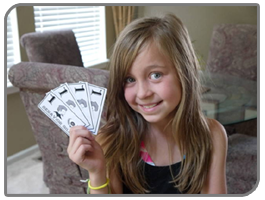 The plan allows you to choose the behavioral goals that you want for your child then puts you in control of evaluating the results and administering the consequences (whether positive or negative). Not Just a Behavior Chart! The Parent Coach Plan is much more than just a behavior chart. It is a comprehensive Discipline Plan which also contains a wealth of parenting information, advice, and tools that are easy to understand and which can be easily incorporated into any family's daily routine. 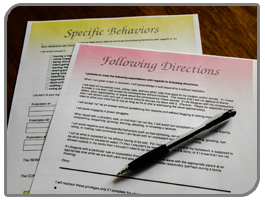 Free Behavior Contracts and Chart! 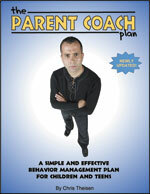 Purchase The Parent Coach Plan and you'll receive a FREE download of our popular and highly-effective Behavior Management Package (a $14.95 value!). This free download consists of five individual parenting tools which can be printed off and put into place immediately after payment. Behavior Contract Form Our "Behavior Contract Form" is similar to the behavior contracts listed (and pictured) above; only this one is a "fill in the blank" contract. Parents can customize this contract to fit the specific needs of their child or teen. Chore Chart Our chore chart covers daily and weekly chores to assure no chore goes undone! Incorporate privileges (rewards) and restrictions (consequences) into the equation and this chart just might put an end to the laziness, procrastination, and excuses you've endured over the years.